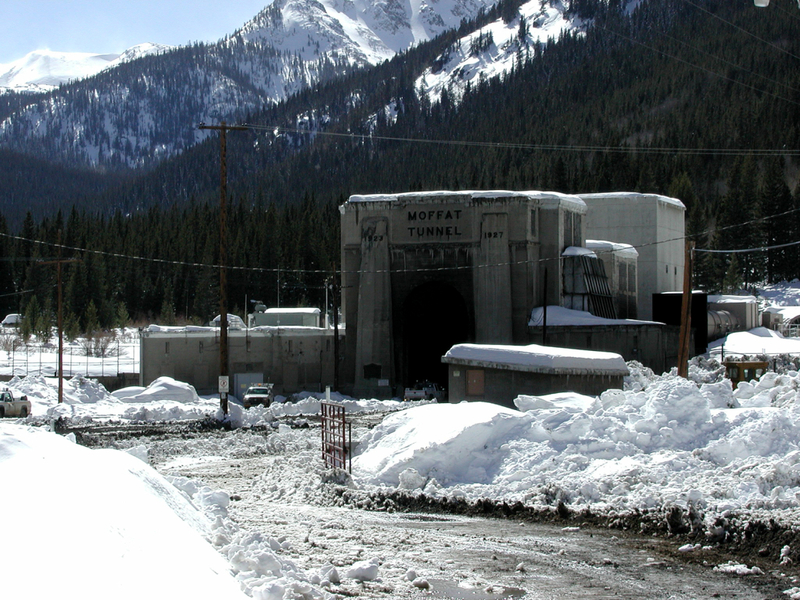 Moffat Tunnel has helped trains burrow through the Rocky Mountains for almost 100 years now. Because it is still an active rail line, the maintenance road to the area is kept open year round; as a side-effect of this fact, it also serves as a hub to excellent outdoors recreation. 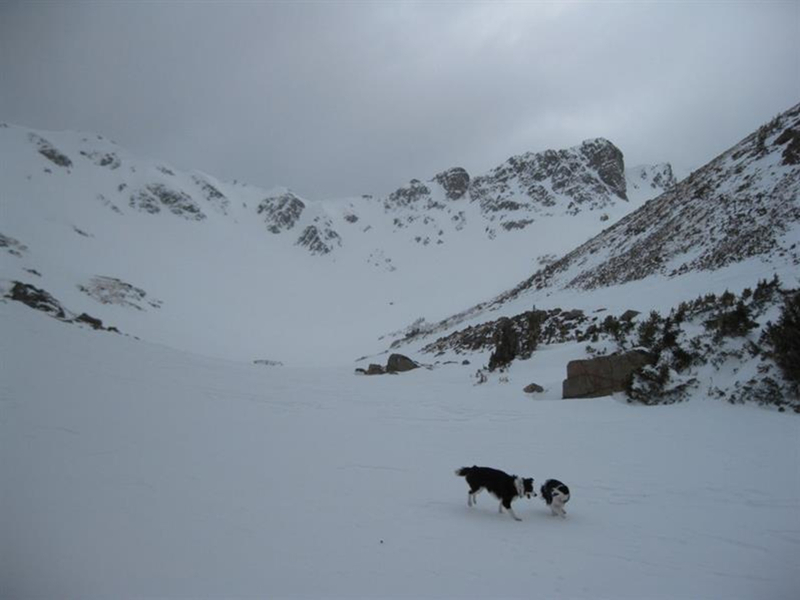 From the 9,320 ft. Moffat Tunnel trailhead (also known as the East Portal Trailhead), there is access to backcountry skiing, ice climbing, snowmobiling and of course, snowshoeing. The area can be reached in about an hour’s drive from Boulder and doesn't require travel along endlessly mired traffic of I-70. If you maintain the South Boulder Creek Trail, another split will occur that leads to the Crater Lakes. These high lakes are situated about 11,000 ft. and the trail that leads up to them often disappears in heavy winter snow. The mile or so to the lakes can be tricky to follow and is quite steep -- but the trail there comes and goes, depending on how adventurous people are. Easier to reach is Heart Lake, a destination that comes if you stay the course on the well-worn South Boulder Creek Trail. 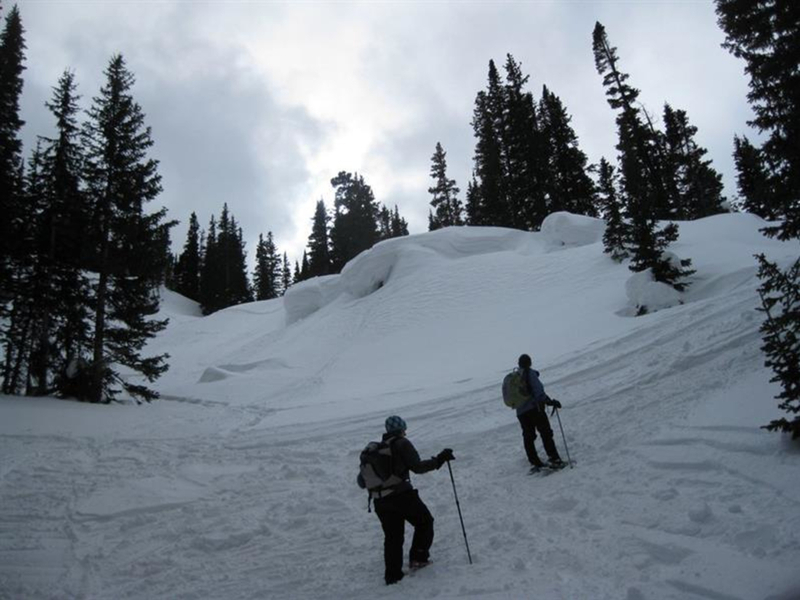 Because it sits at 11,300 feet, this area can get very windblown and the four-mile trail to reach it can be a heck of a workout in the winter! Even though this is a well-traveled area, the crowds tend to disperse, with many skiers and snowshoers simply heading off into the wilderness off-trail. The signage for the area comes and goes so if you head to Crater Lakes or beyond Forest Lakes, good navigation skills are a must. Note that both the Moffat Road itself and Mammoth Gulch are nice options for mellow snowshoe adventures on 4x4 roads that can be accessed along the way to the East Portal Trailhead. 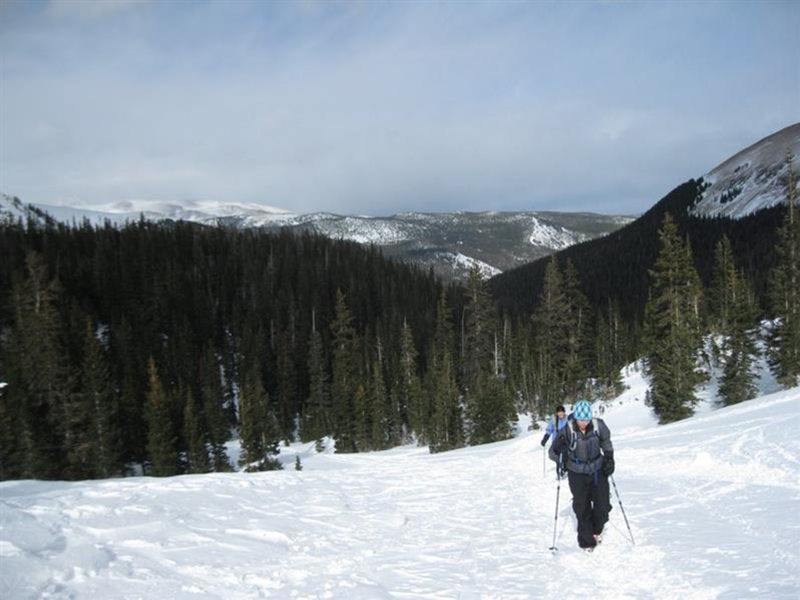 Snowshoers of all levels will love the options for long or short days. 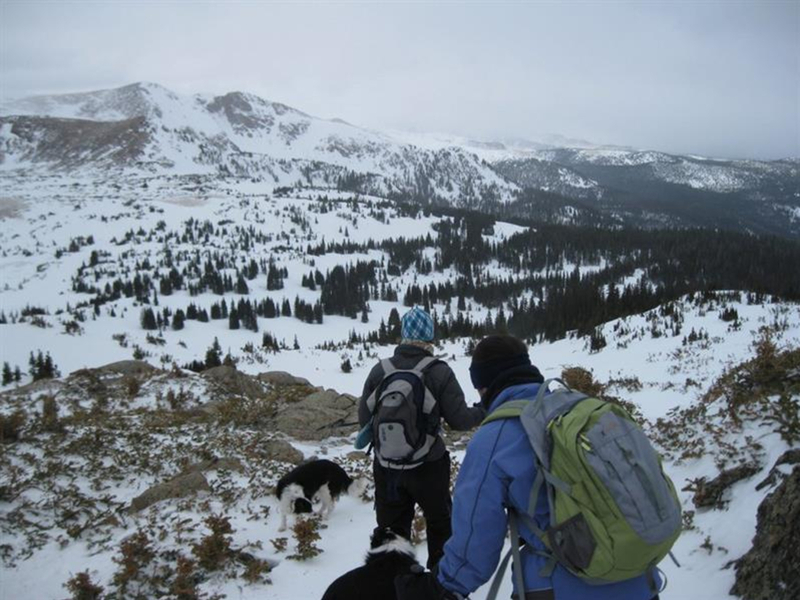 A trek to Heart Lake is a great all-day outing that breaks treeline and offers amazing winter views. From Nederland, travel south for 4.5 miles on Colorado Highway 119 to Rollinsville. Turn west onto the gravel Gilpin County Road 16 and continue eight miles to the Moffat Tunnel. A large parking area is available at the East Portal Trailhead. Please note that this trailhead can be very, very windy -- often the wind completely dies down once you get into the trees. There are no fees to visit this area and dogs are allowed; please consult the sign kiosk at the start of the trail for seasonal dog restrictions and rules.